Getting to Paris is an easy task – all major airlines fly to the city, and if you are in Europe, you can even take a train or drive to Paris. Once you arrive in Paris, getting around is your next concern. It does not have to be a problem, however. As it is with modern cities, Paris is very easy to navigate, thanks to the extensive and efficient public transportation network. The public transportation network of Paris is comprised of three main branches. These are the RER, The Metro and RATP city buses. 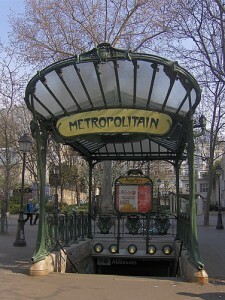 The Metro or Métro de Paris is the Paris subway. It is efficient and has several lines as well. To make the most of your Metro experience, the first thing that you should do is to get a map of the Metro. You can get this at any Metro booth or even download it online. The lines 6 and 2 also run above the ground for the most part so it is a great way to explore the city albeit in an express manner. Buses should be your choice if you want to explore the city in a more leisurely manner. Most of the bus lines operate from 5:30 in the morning till midnight. For more specific information on the routes, visit the RATP website.